The first Toruk Makto was daring, he appeared with the First Songs. The People feared him once they knew he had the ability of riding such a beast, the Olo'eyktan exiled him from the clan. The Makto decided to take revenge on him, but Eywa knew his intentions and put stop to his actions. A hunting group found the corpse of the warrior near the river, with his skin torned by the claws of Toruk. The second Makto was wise, he turned up with the Gathering. He became the first Makto chief, and showed the People Ikran riding. 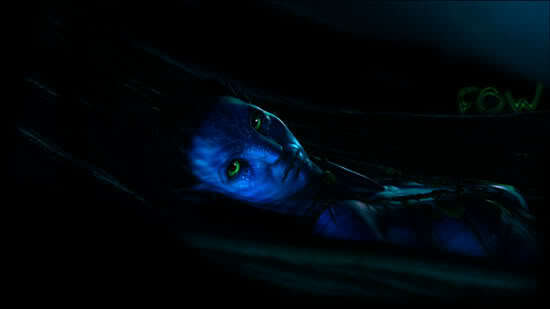 He governed wisely, and many Na'vi moved to the Eastern Sea to learn about him and be under his rule. However, Eywa decided to call both him and Toruk, and both passed out with the night. The third Makto was resolute and used her power to lead her clan in the First War. She was quick as a lighting and never missed an arrow, but on the Last Battle, when she had the enemy Olo'eyktan in front of her she decided to leave him alive, instead of killing him. In appreciation of her gesture, enemies became allies, and the war ended with the third Makto. The fourth Makto was vindictive and quick-tempered. He wouldn't tolerate a fault, and was thirsty for power; what, once he had Toruk in his hands, made him become chief after murdering his opponents and initiated the Time of Great Sorrow. He made many enemies in life, and eventually his own clan decided to do away with him. The fifth Makto was powerful, and used that power to end the enmity his predecessor made. Instead of using it for violent purposes, he took the decision of establishing peace between the different clans. The sixth Makto was a foreigner, one of the Sky People who brought the end of peace on Pandora's surface. After becoming part of the Omaticaya, he was rejected for destroying their home; but the love he felt for the People made him become Toruk Makto. He lead the battle against the Sawtute, and made them return to their deadly planet. Thus endeth the Toruk Chronicles. Or whatever. Last edited by ZenitYerkes; 04-10-2010 at 10:28 PM. That's some great writing, I've always been interested in the chronicles and backstory of the Toruk Makto's.